In the meeting of the elders in Wakanda along with S’yan uncle to T’challa and Shuri to discuss who will be the next panther and to secure leadership of Wakanda in this national crisis. Storm decides she will lead, and orders the investigation of where her husband was coming from and who did this to him. She appoints Shuri to be black panther much to her mothers dismay. 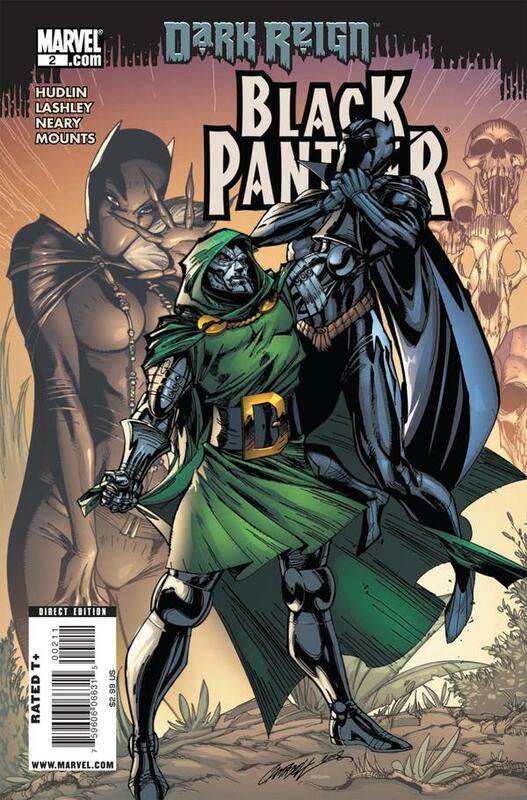 Flashback- Doom and his Doombots square off with Tchalla and the Dora Milaje. The fight is glorious but more Doombots swarm them. In the present queen mother questions storm’s decision regarding Shuri. Storm hold firm and begs her to show faith in her child. Flashback- The Dora Milaje and T’challa continue a grueling battle with doom, despite holding their own doom outwits and manages to fry T’challa. One of the Dora Milaje sacrifices themselves so the other can carry him back home. They barley succeed as doom is triumphant. Back in the present Storm watches the man she loves on advanced life preservation machines, with no other choice left to her the queen mother confides there may be a way to save him but she can only share this info with Storm. Elsewhere a cult senses the chaos in the balance of power in Wakanda and plan to wake the lion to put an end to the panther. I continue to love the art in this book, the flashbacks again are used well and the story is edge of your seat exciting. All the characters shine especially Storm who holds together well under the circumstances. She proves to be T’challa’s equal as she commands everyone into preparation for things to come; her years leading the x-men have paid off indeed.